While you may not associate skiing with the Miami Valley, many local residents take to the outdoors on snowy days to hit the slopes or test the cardio with some cross country skiing. The Dayton Daily News and Journal Herald photographers documented Miami Valley skiers outside enjoying the snow. Did anyone cross country ski on Community Golf Course? 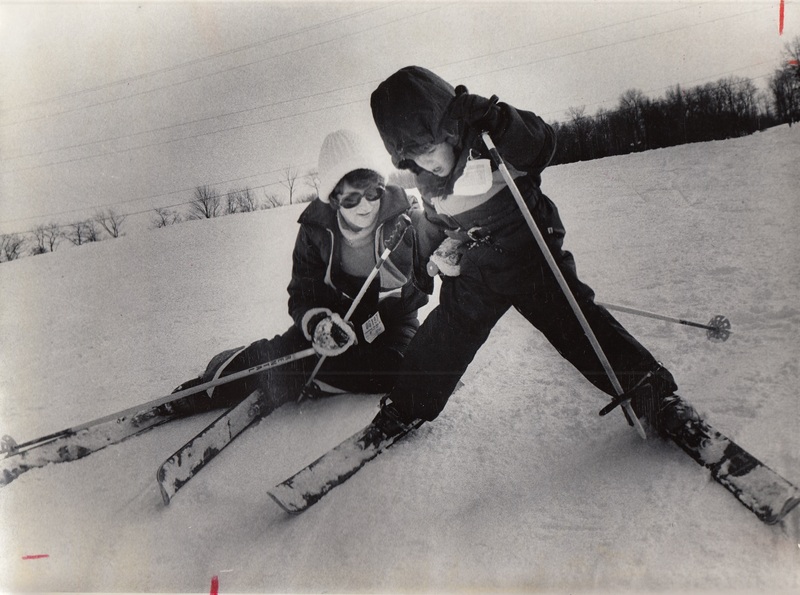 Or maybe you traveled to the Sugarcreek Ski Hills in Bellbrook to do some downhill skiing on one of the two slopes. Sugarcreek operated from 1965-1989 and today the former ski lodge is now the Bellbrook Community Center. 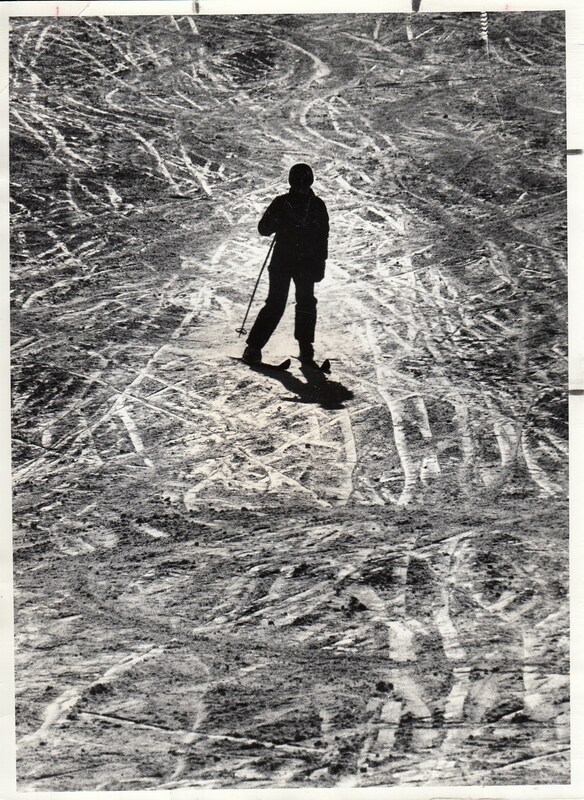 A skier crosses the thousands of tracks left by other skiers on the slopes of Sugarcreek Ski Hills, January 11, 1987. 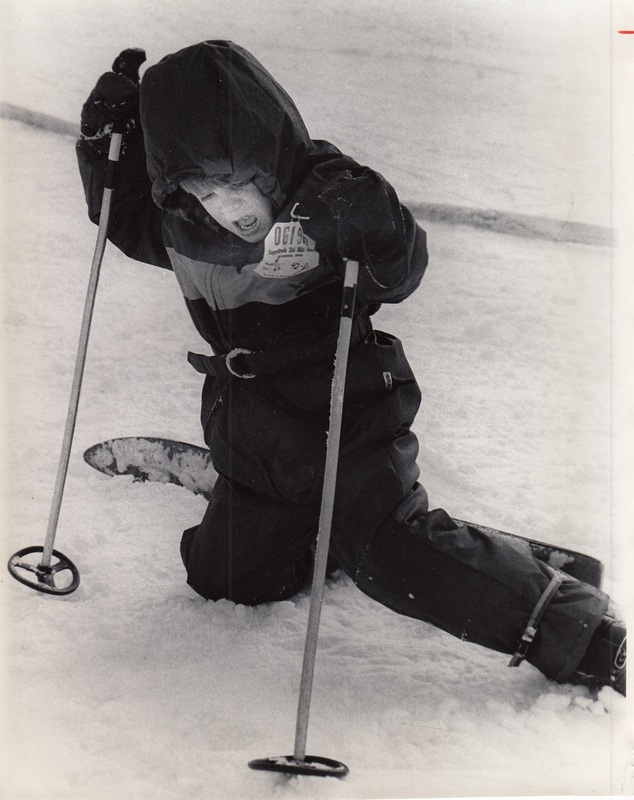 When Everyone goes skiing, everybody goes with them, Community Golf Course, February 28, 1984. 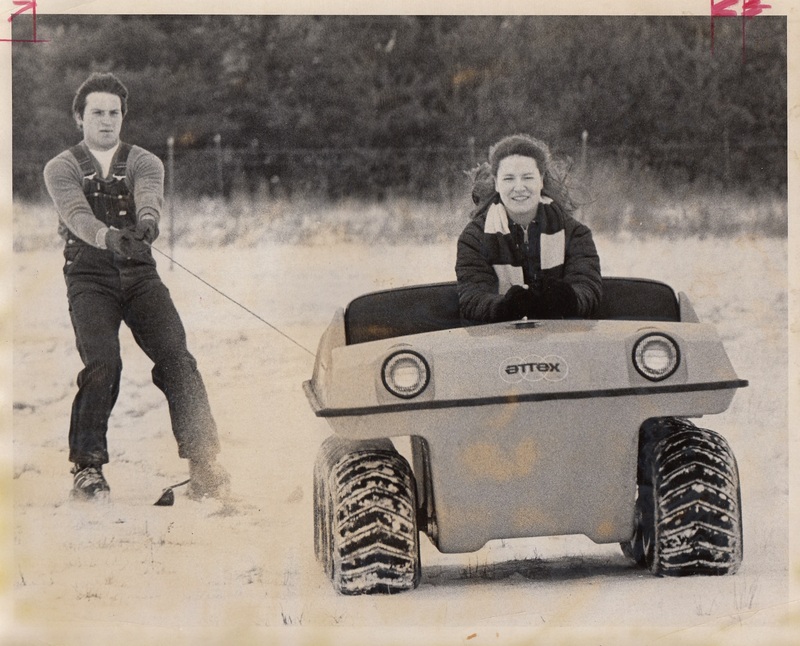 Joyce Smith pulling her husband Mark at their home just west of Xenia, February 3, 1976. 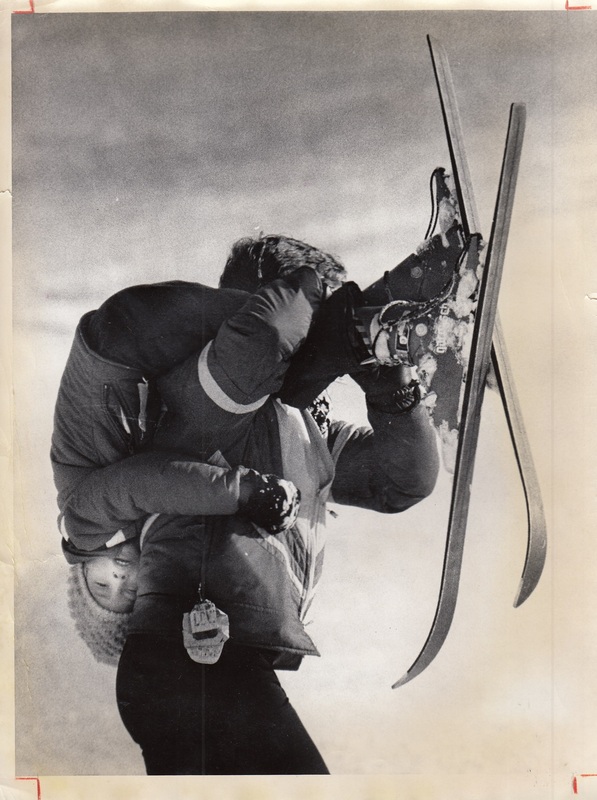 If you go down, you’ve gotta get back up…somehow… Jessica Dankworth, Lebanon, learning to ski at Sugarcreek Ski Area, got back up over the shoulder of her father, Dr. Tom Dankworth. 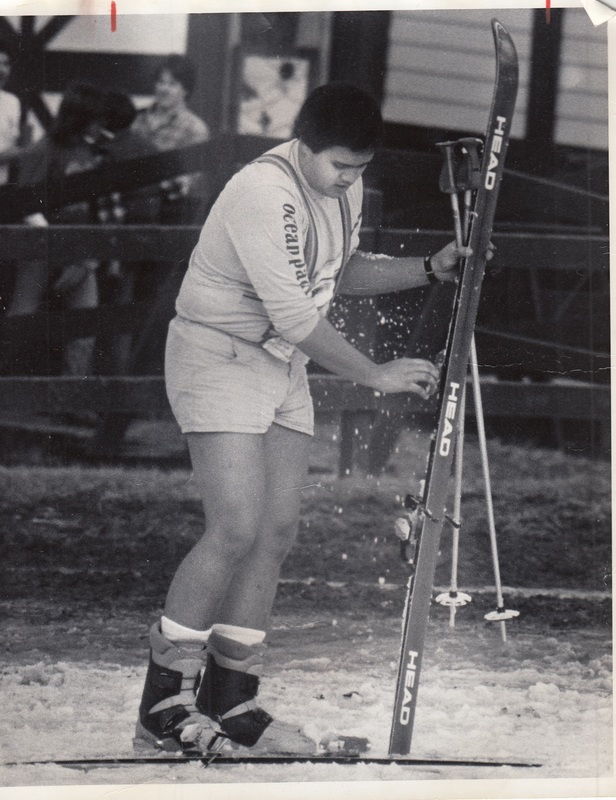 Bill Nassmacher, Kettering, cleans off his skis as he finishes his day at Sugarcreek, February 21, 1983. 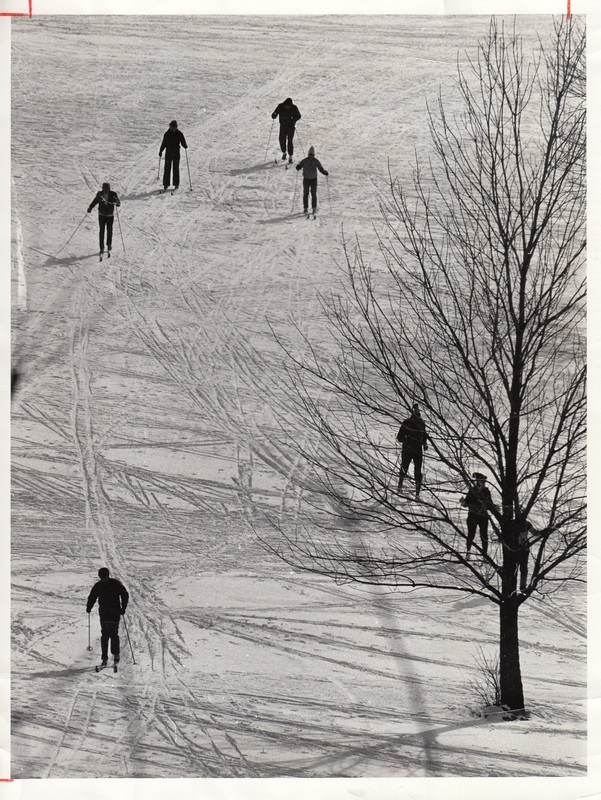 Cross country skiers were having a great day at Community Golf Course, January 28, 1985. 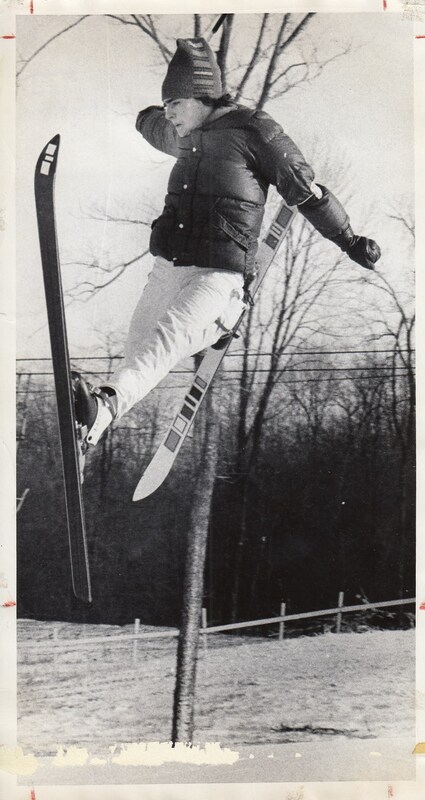 Jev Vorndran, Centerville, gets just a bit out of shape while jumping at Sugarcreek Ski Area, January 5, 1979. 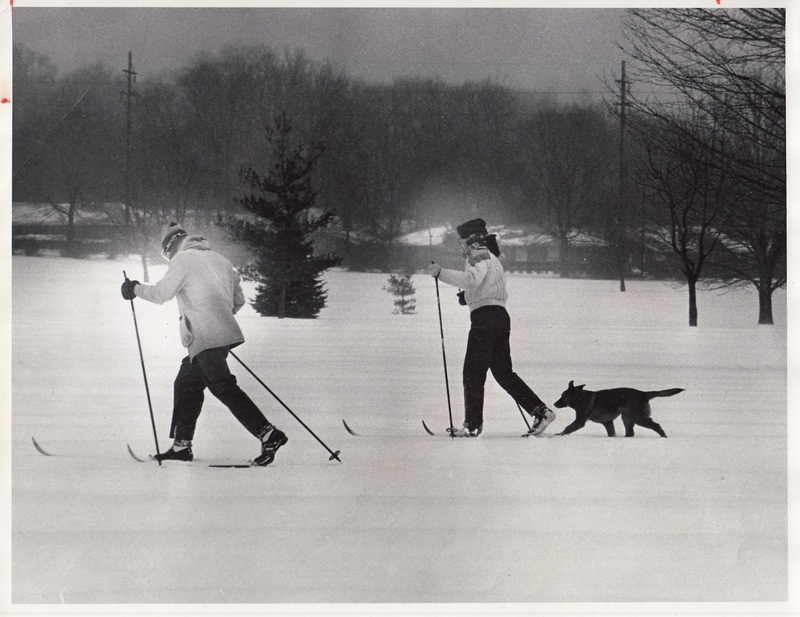 This entry was posted in DDN and Dayton, Found It in the Archives, Uncategorized and tagged Community Golf Course, Cross Country Skiing, Skiing, Sugarcreek Ski Hills. Bookmark the permalink.